A severe weather warning has today been issued for areas across the north-east. A band of heavy rain is expected to move in from the west between mid-morning and late afternoon, bringing scattering showers and possible flooding. 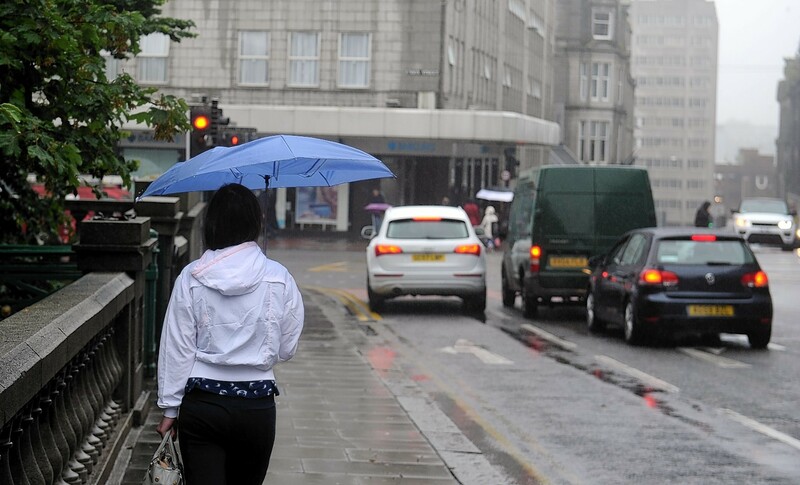 The yellow warning, meaning be aware, has been put in place in Aberdeen and Aberdeenshire from noon until midnight today. Forecasters have warned as much as 30mm of rain could fall in parts of the north-east, reaching rates of 10mm per hour. Traffic Scotland has also issued a warning to drivers to take extra care. 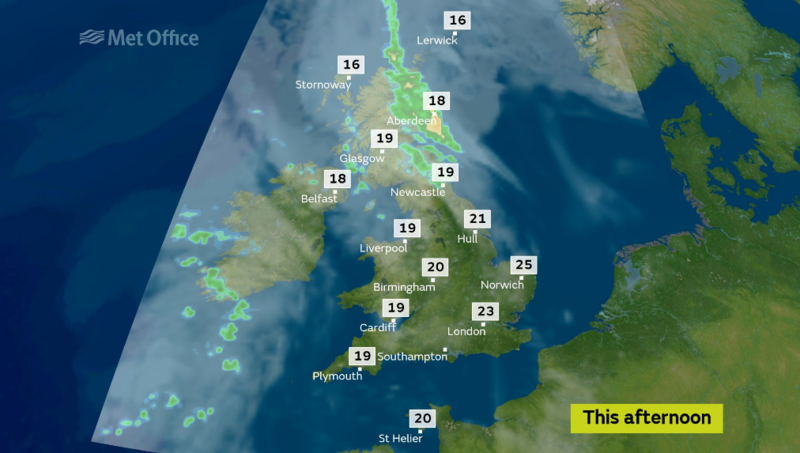 The Met Office’s Chief Forecaster warned: “An active cold front will cross from the west today. “Some heavy and possibly thundery outbreaks are likely with the chance of 10 mm in an hour in places and perhaps locally 20-30 mm within a 6 hour period.